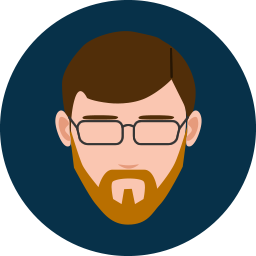 I'm a senior software engineer at Ancile Solutions, Inc. While my focus is typically around eLearning application development and consulting on web-based training projects, relying on standards such as SCORM and AICC, I've been flexing my development muscles in other areas, such as cloud-based offerings. I dabble heavily in full-stack web application development across a few different platforms, creating software simulation and rapid development tools, custom eLearning frameworks and template-based systems, and UI/UX. I also have experience as a Scrum Master and team leadership/mentoring, but that has not been my primary focus recently. I frequently engage in consulting tasks within the eLearning industry, where I do my part in sharing my knowledge and attempt to keep in touch with others facing their own challenges, while becoming familiar with emerging standards in the process. I've been known to take on some "normal" web projects to help folks out here and there as well. On a personal note, I am a very happy husband and father to 4 great kids. I'm usually kept rather busy one way or another, like practicing martial arts at Chung Mu Do with my 3 sons, and working with Motive Learning on a number of projects. There's always something new to try out there. Developer, graphic artist, eLearning guy. Always on the lookout for something new and interesting to work on. Create eLearning courses, simulations, and other content for training, software adoption, and enterprise-wide knowledge sharing with uPerform. With record-once/publish-many technology, anyone in your organization can easily and quickly capture or document knowledge and distribute content to employees at the point of need, in the right language, and in the right format. Assessments and knowledge checks confirm employee comprehension and effectiveness. Confirm comprehension of your communications to employees, partners, and contractors with ANCILE uAlign. 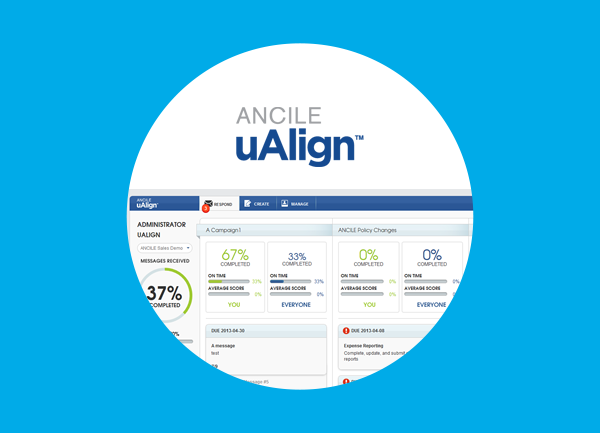 ANCILE uAlign is a mobile-friendly, cloud-based application that’s accessible via desktop computer, laptop, smartphone, and tablet. Create a new message or grab content right from the web, send a prioritized message to individuals wherever they are, and track individuals as they consume the message and complete a quick assessment. With uAlign, team members are always informed and aligned, always engaged, always productive. 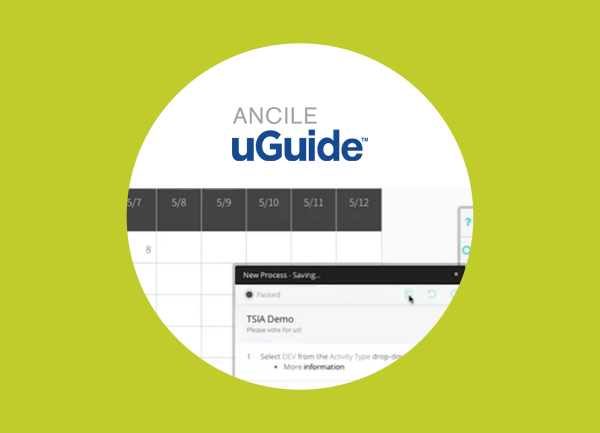 Create and deliver in-application, step-by-step guidance for web applications using ANCILE uGuide. Produce help content using a simple recording process that captures dynamically generated elements, mouse clicks, key presses, and right- and left-click actions. To ensure your content stays fresh, uGuide recognizes when buttons or fields change, or the language is switched, and automatically updates the guidance on the fly.